One of Hilary's oldest friends commented recently that I rarely feature a photo of Hilary in our News page. She was of course absolutely correct, so I'm posting a recent pic of my beloved here. She is also in a group picture mentioned later. Just a reminder to let you know about this low key launch day. In all honesty I still find it humbling that anyone would be interested in reading about my life, but there it is. 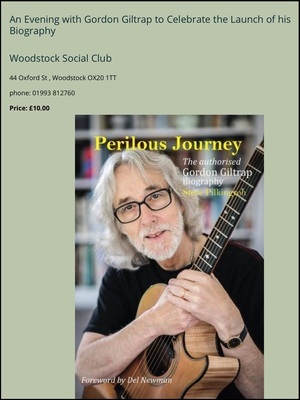 On October the 5th the book has a modest launching presented by the Woodstock Bookshop. Do come along if you can for this special evening. 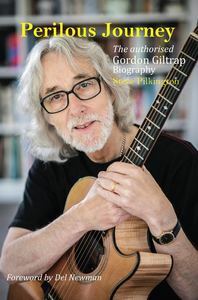 The first part of the evening will be myself in concert, and the second part will be in conversation with the books author Steve Pilkington interspersed with music. There are three more such evenings before the end of the year so do check out my website www.giltrap.co.uk and if it's close to where you are I would be delighted to see you. Signed copies of the book will be available on the night. More launch dates are on the website. Many of you will know of my long association with the British string makers Newtone Strings. On October 5th the company are launching a GG set as part of their Heritage range. I was very privileged to help with the development and design of the Newtone range many years ago with its founder Malcolm Newton. This will be a welcome return to the fold after quite a few years gap. The set is a specially designed low tension set for players like myself who haven't been blessed with strong fingers. I shall continue using Martin strings alongside Newtones because both have their individual merits and serve different purposes and are both excellent products. 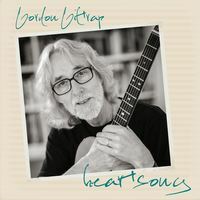 All you fans of Brian May, Steve Howe, Midge Ure, Rick Wakeman will want this album to complete their collection. Oh yes, I forgot, I'm on it as well!! 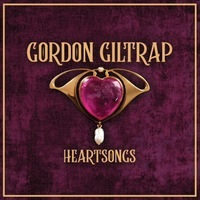 To celebrate the 40th anniversary of HEARTSONG, this four track downloadable EP is available NOW. 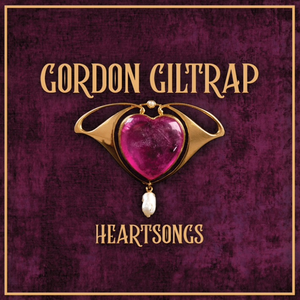 The EP contains TWO versions of HEARTSONG. A digitally remaster of the original 1978 version,and the "all star" version with Brian May, Steve Howe, Midge Ure and finally Rick Wakeman. The other two tracks are versions of THE DODO'S DREAM one recorded live "al fresco" and the other a studio version arranged by Paul Ward who did a magnificent job of work on all the tracks. 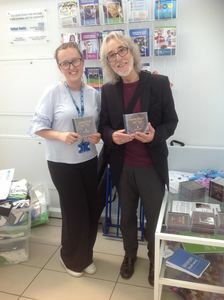 Carrie Martin and I have written a song to raise money for a collective hospital charity in Birmingham. This won't come to fruition until next year. A very pleasant and positive meeting with all concerned took place at our favourite local coffee shop in Mitchell's Arts Centre with Cathryn Worth the main fundraiser, Maureen Foxall the hospital chaplain, David Baynham sound engineer and of course Carrie Martin and myself along with my lovely Hilary. See photo. Left to right. 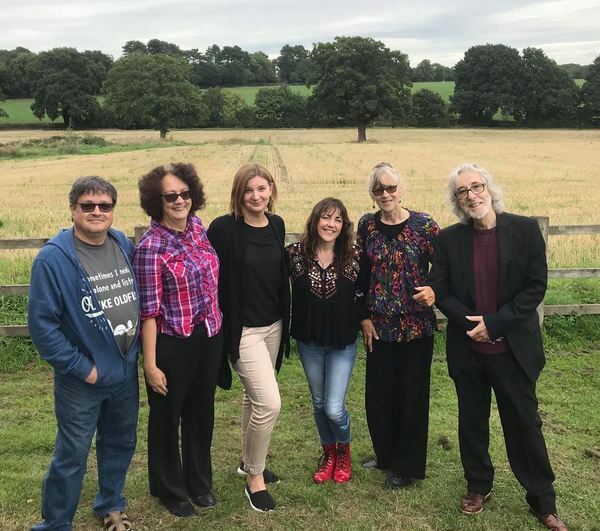 Dave Baynham, Maureen Foxall, Cathryn Worth, Carrie Martin, Hilary, Me. 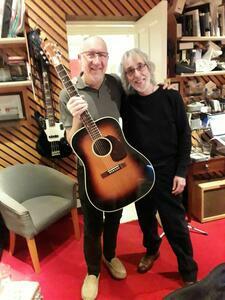 Yes, I just can't resist a new guitar. 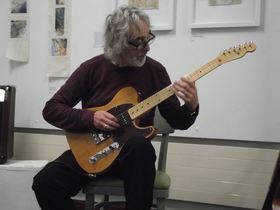 This stunning hybrid Telecaster was built in the workshops of MG Guitars by my good friend Michael Gough, who sources the finest materials from around the globe and expertly assembles them in his Frodsham workshop. I used it for the first time at Frodsham and my Stalmine teaching weekend and it sounds lovely. 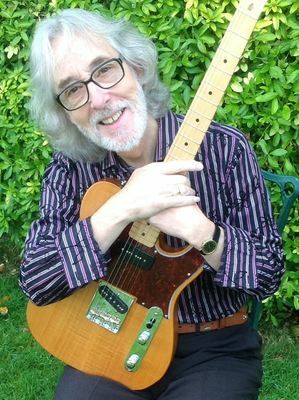 Michael's guitars represent unbelievable value for money and if purchased in a high end guitar boutique would carry twice the price he charges for these superbly engineered instruments. Check out his website www.mg-guitars.co.uk Tel..07748-112214. 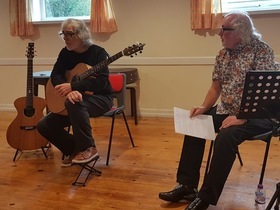 On the 8th of last month I was the guest of Frodsham Arts Centre who hosted my Sharing Day with special guest Paul Brett followed by an evening concert. We had a few technical difficulties during the sound check, but Michael Gough who organised the whole event leapt to the rescue and sorted out the sound for me courtesy of his lovely Marshall Acoustic amp. 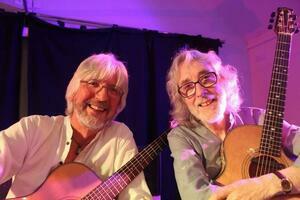 The sell-out concert was a joy and I loved every minute. A huge THANKYOU to Kim at the centre and Michael Gough for creating the event and a special thanks to his beloved Lesley for hosting us in their lovely home for the weekend. I look forward to returning. See photos courtesy of Malc Welch. I am so lucky to have people like Paul Roberts to help me establish the teaching side to my career which is something VERY close to my heart. 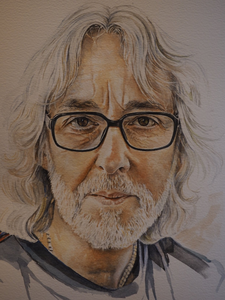 Paul is a well-respected and established teacher in the Kirkham area of Lancashire, he is also a man who has attended (pretty much from the start) my teaching weekends and Sharing Days. It was he who organised this weekend event in minute detail. I know it sounds like a worn out record but I'm delighted to say that the weekend was a joy in all areas. During the day I was teaching youngsters in the morning, and after lunch the adult players, and in the evening performed in concert on the stage of the Village Hall. Thank you to Paul who is organising two more teaching events for me before the end of the year. It was also a delight to meet his friend Amanda, a very charismatic Liverpool lady who looked after Hilary during the day and also was on the door in the evening. A great gal. 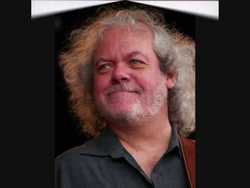 What a dreadful loss to the music world. Died far too young. RIP Maartin. 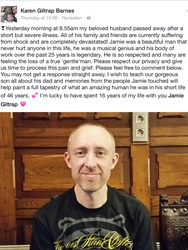 Thoughts go out to his family. 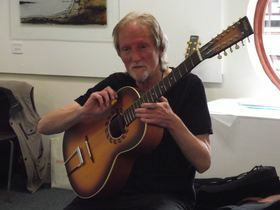 One of my students Mark Guyatt (a very fine guitarist I hasten to add) asked me if I would perform a short set at his local church open day. There was an offer of sticky buns so I couldn't resist! It was held at Dorridge Village hall just up the road where Hilary and I lived for many years in Solihull, so it brought back many bitter sweet memories. The weather was good and I enjoyed playing to a small but appreciative gathering on the green outside the VH. As mentioned last month, our good friends Russ and Carol Gannicott have a lovely holiday chalet in Mudeford near Christchurch and kindly offered the loan of it to Hilary and I for a holiday break with my lovely daughter in law Karen and my grandson Braden. The weather was kind, the location perfect so what more could one ask. Whilst we were there Karen and I attended a local open mike session, where I played a couple of tunes and witnessed some amazing local talent. Russ who has done so much over the years to encourage local talent hosted the evening. For me it was a joy to see Karen let herself go and enjoy the evening. It truly did my heart good. 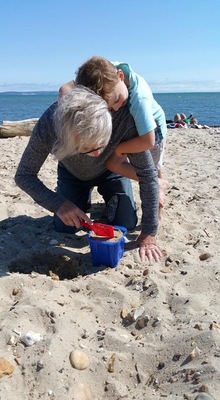 Here is a cracking pic of Braden and I on the beach making sand castles, taken by Karen. 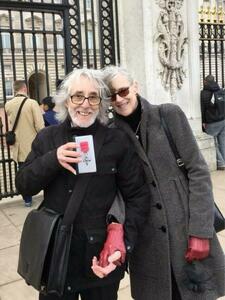 Bless you Russ and Carol and a joy to see Ashley as well and his talented friends. 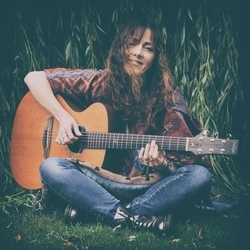 What a great month it has been for Carrie Martin with the release of her stunning album Seductive Sky on purple vinyl out on Psychotron records. Go to www.carriemartin.co.uk to get your copy. Lots of good people on there. Oliver Wakeman, Elliott Randal, Dan Cassidy, ME!! This longer interview with Cams Campbell was done when I did a workshop a few months back. It was recorded in May 2018 at the RMMGA UK gathering in the Cotswolds. Paul White recently teamed up with his friend Mark Soden to produce some new jointly composed material under the name Cydonia Collective. Although I'm not featured heavily on this project it's a joy to be a part of its creation. 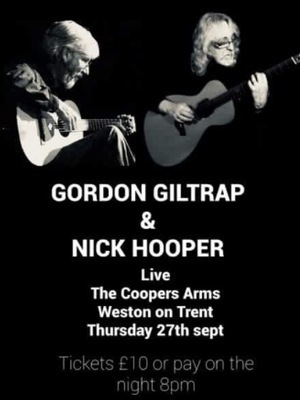 By the time we go to print my concert with that genius Nicholas Hooper at the Coopers Arms will have come and gone. Details next month. See poster.